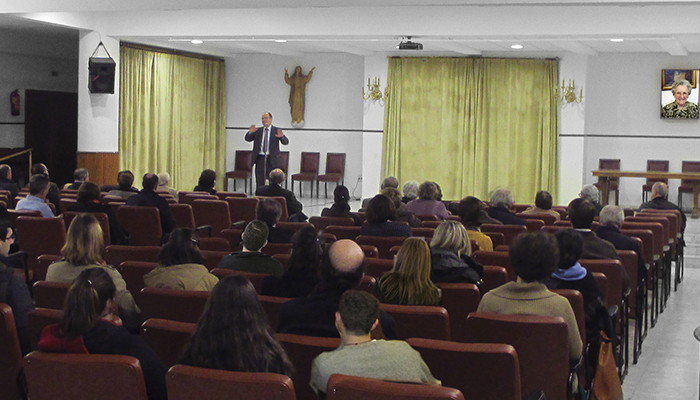 Every week, in all the centres of The Work of the Church, one hour is set aside for faith formation and the subsequent dialogue that is open to all, both adults and youth. Having as the starting point a talk or a video of Mother Trinidad, the soul steadily discovers and learns every time how to live more and more the wonderful realities of faith from a perspective of wisdom and love. Living the Liturgy more profoundly, learning how to pray, and gaining a growing awareness of the fullness that is enclosed within the Church…: all this is the certain fruit that is harvested by all those who regularly attend these weekly talks with an open heart. 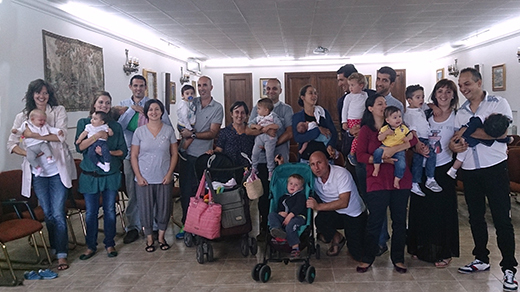 On the Lord’s Day, one Sunday every month, the families’ get-together which takes place in some of the Apostolate Centres of The work of the Church becomes a joyful experience of Christian union and joy for all the members of the family. In the morning it is time for the Holy Mass, later people have lunch in the open, while kids enjoy some entertainment with games and amusing activities, in the afternoon it is time for formation and for spiritual exchange… all this, surrounded by an atmosphere of friendship in the true union of the Lord, makes of this festive day, either for the newcomer or for those who participate most regularly, a true day of rest and of human and spiritual renewal. Ever since the beginning Mother Trinidad wanted to establish the “Youth Oratory” in every apostolic and parish centre of The Work of the Church. 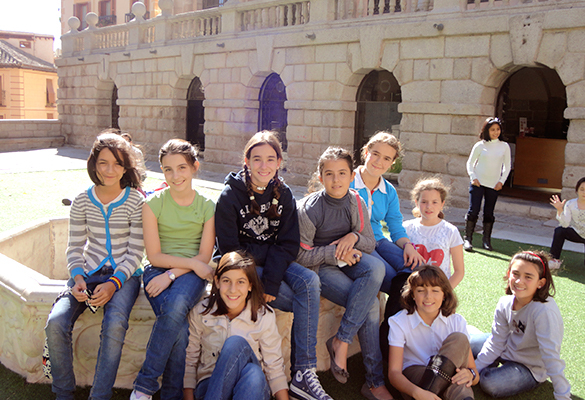 In them, boys and girls who attend their programmes on a weekly basis learn from their childhood how to live spontaneously and joyously in contact with God, they experience what it is to encounter Jesus in the Tabernacle in an playful environment that includes games, sports, songs and outings…. 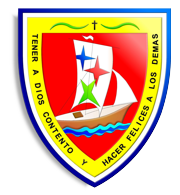 As they grow, these youngsters incarnate in the reality of their daily lives the motto of Mother Trinidad for the “Oratory”: “To make God be content and make others happy.” An attractive program that at every moment fills the life of the youngest ones with meaning and fullness. Mother Trinidad has always paid special attention to the youth so they can receive the necessary formation for their faith, encounter God in their daily lives and discover the unique path God has marked out for them on creating them. 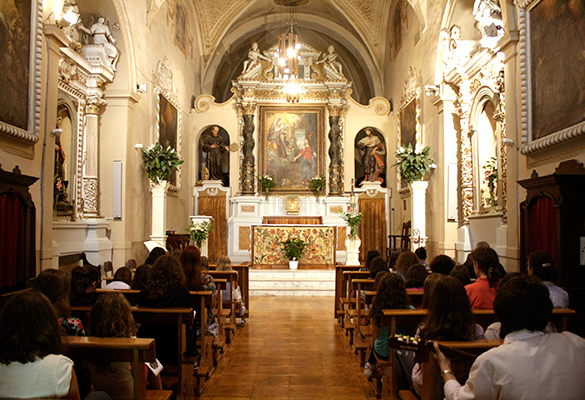 Throughout the whole year, The Work of the Church organizes formation seminars, pilgrimages, outings in its apostolate and parish centres… to help youth discover and deeply live the joy of being Church in the midst of a world that many times separates them from God. 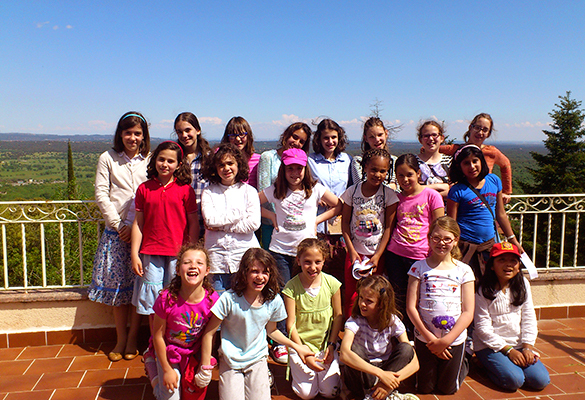 Summer camps, in different dates for the groups of girls and boys, are a wonderful means to provide children and youth with the faith formation and the spiritual life-experience they need to build up their lives and be grounded on God, the only purpose that will always fill all their lives with meaning and fullness, giving peace to their hearts.